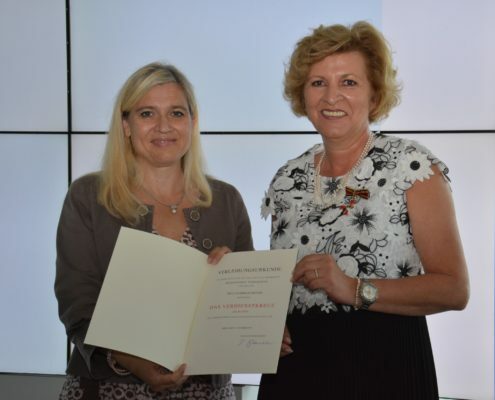 Gabriele Gründl, president of the DSAI was recently awarded the German Federal Cross of Merit in observance of her services to the primary immunodeficiency patients’ community this past July. While receiving her recognition, DSAI’s president was commended for her idealism, empathy and great commitment to the community. 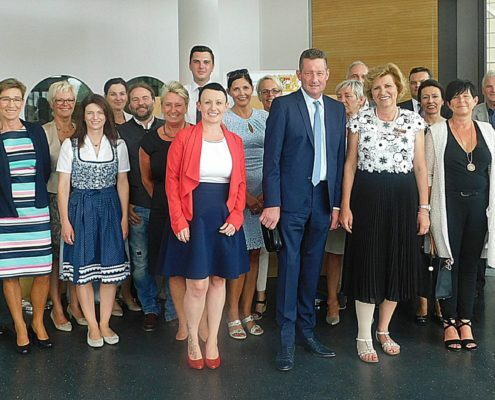 Since her son was diagnosed with X-Linked Agammaglobulinemia (XLA), 26 years ago, Gabriele Gründl has been fighting for early diagnosis and equal access to treatments for all patients in her country. She has been at the forefront of patient advocacy and has built up a strong patient group with diversified courses of action. Gabrielle is dedicated to all patients and is always there to advise patients wholeheartedly.